All three Kalima’s are correct. Kalima Tayyiba refers to any sentence that is correct. For example ‘Allah is Rabbil Alameen’ or ‘Alhamdolillah hai Rabbil Alameen’ are examples of Kalima Tayyiba as there are true statements. YUSUFALI: Know, therefore, that there is no god but Allah, and ask forgiveness for thy fault, and for the men and women who believe: for Allah knows how ye move about and how ye dwell in your homes. Before we go into this topic we would like to issue to challenges to the Nasibi. Can you show us any single Hadeeth wherein Rasulullah (s) said that this Kalima was fixed and that no one was allowed to make any additions to it? Can you locate the Kalima Tayyiba recited by Sunni ‘There is no God but Allah and Muhammad is his Messenger’ from the Holy Qur’an. By this we don’t mean joining up verses we are asking these Nasibi to show us this Kalima as a single complete sentence from the Qur’an. Alhamdolillah we know that our critics will not be able to answer either question, and make it clear that if these two points can be proven by the Ahl’ul Sunnah we will leave Shi’a Islam. With that let us now prove from Qur’an and Hadeeth that the Kalima that the Shi’a recite is in accordance with the Qur’an and Hadeeth and hence is statement of fact that is valid under the Shari’ah. Incapable of locating a verse wherein this complete Kalima is mentioned our critics tend to piece portions of verses together to prove their point. As we see these words appear within a sentence / context and are not exclusive sentences within themselves. 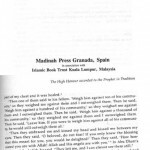 YUSUFALI: Muhammad is the messenger of Allah; and those who are with him are strong against Unbelievers, (but) compassionate amongst each other. Thou wilt see them bow and prostrate themselves (in prayer), seeking Grace from Allah and (His) Good Pleasure. Like the term ‘There is no God but Allah’ we also that the term ‘Muhammad is the Prophet of Allah’ is not an exclusive sentence that would constitute Kalima Tayyiba, on the contrary it forms part of a much wider verse. As we see the terms ‘There is no God but Allah’ and ‘Muhammad is the Prophet of Allah’ are two Kalima Tayyibas and yet in the Qur’an at no point do we see either term in the form of Kalima Tayyiba that is one verse with no other additions. The Ahl’ul Sunnah try to prove the Kalima by merging these two terms together, How can these Mullah accuse the Shi’a of adding to the Qur’an when in order to prove the Kalima they merge together portions from two separate Qur’anic verses? YUSUFALI: If any do seek for glory and power,- to Allah belong all glory and power. To Him mount up (all) Words of Purity: It is He Who exalts each Deed of Righteousness. Those that lay Plots of Evil,- for them is a Penalty terrible; and the plotting of such will be void (of result). Allah (swt) refers to Kalim namely a minimum of three Kailmas being taken up to Him (swt). What are these three Kalimas? The Ahl’ul Sunnah recite two terms ‘There is no God but Allah’ and ‘Muhammad is the Prophet of Allah’ but they don’t possess a third kalima, and as this verse stipulates it is these Kalima of purity via which deeds are rewarded. As we shall seek to prove, we the Shi’a can identify this third Kalima in light of Qur’anic verses that refer to the Wilayat of Maula ‘Ali (as), which is why we recite the third Kalima ‘Ali is the Wali of Allah’. We shall now substantiate our assertion with Qur’anic proofs. [Shakir 5:55] Only Allah is your Vali and His Messenger and those who believe, those who keep up prayers and pay the poor-rate while they bow. As per this verse of the Holy Qur’an, Muslims have three guardians (Wali), Almighty Allah, Holy Prophet (s) and Imam Ali (as). By saying “la Ilaha Illallah” we declare the unity of Allah, by saying “Mohammad ar-Rasul Allah” we declare the Prophethood of Prophet Muhammad (s) and by saying “Ali un-Wali Allah” we declare the guardianship (Wilayat) of Imam Ali (as) and this is necessary because had it not been done, the one-third of this verse would have been left unpracticed. [Shakir 4:59] O you who believe! Obey Allah and obey the Messenger and those in authority from among you; then if you quarrel about anything, refer it to Allah and the Messenger, if you believe in Allah and the last day; this is better and very good in the end. This verse also cites three separate types of obedience. Obedience to Allah (swt), Obedience to the Holy Prophet (s) and to Imam Ali (as), who was the righteous Imam after the Holy Prophet (s) and falls within the meaning of “Ulil Amr“. In this connection, Imam Raazi has said that the “Ulil Amr” needs to be infallible just like the Holy Prophet (s) (for further elaboration on this point see our article ‘The Creed of the Shi’a’. [Shakir 5:67] O Messenger! Deliver what has been revealed to you from your Lord; and if you do it not, then you have not delivered His message, and Allah will protect you from the people; surely Allah will not guide the unbelieving people. 1. Tafseer e Durre Manthur, volume 2, page 298, published in Egypt. 2. Tafseer e Fatah ul-Qadeer, volume 2, page 60, published in Egypt. 3. 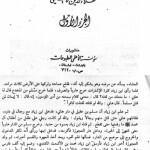 Tafseer e Fatah ul-BaYun, volume 3, page 89, published in Egypt. The above verse declares the guardianship (Wilayat) of Imam Ali (as) which was conveyed to everyone by the Holy Prophet (s) when he said: “One who has me as his master has Ali as his master”. 1. Mishkat al Masabeeh, page 565, published in Delhi. 2. Sunan Tirmidhi, volume 2, page 298, published in Egypt. Hadeeth scholars have accepted that Hadeeth of Ghadir is not only correct and reliable, but have commented that it has many narrators. 1. 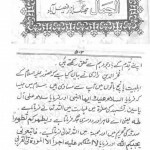 Marqaat Sharh Mashkaat, volume 11, page 342, published in Multan. 2. 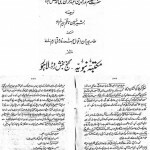 Tadhkirah Hufaaz, volume 3, page 231, published in Deccan. 3. 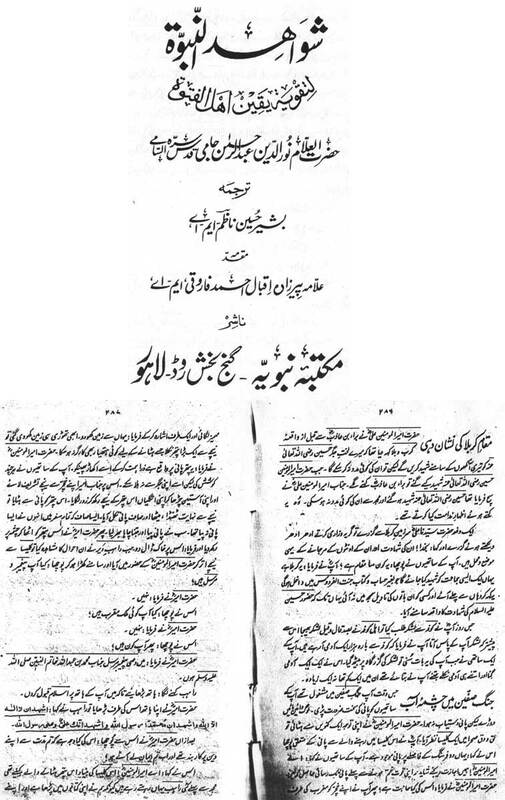 Tafseer e Mazhari, volume 3, page 142, published in Delhi. 4. 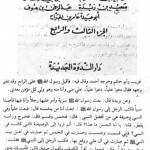 Madarij al-Nabuwat, volume 2, page 521, published in Nolakshoor. 5. 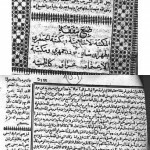 Sawaiq al-Muhriqa, page 40 and page 120, published in Egypt. Tayalisi related it in al-Musnad (p.23#154); and Bayhaqi in as-Sunan-ul-kubra (10:14). ‘Abd-ul-A’la bin ‘Adi has also narrated that the Prophet (saww) called ‘Ali bin Abi Talib (as) on the day of Ghadir Khum, tied a turban round his head (as a sign of honour) and let the loose end hang down at the back. ii. Muhib Tabari, ar-Riyad-un-nadrah fi manaqib-il-’ashrah (3:194). Just after the declaration of the Imam Ali’s (as) guardianship, Allah (swt) revealed the verse “Al yaumu akmaltu lakum deenakum” and made it clear for everyone that though belief in the Unity of Allah, the Prophethood, prayers, fasting, pilgrimage, the payment of poor-rate and jihad already existed, without the Wilayat of Ali (as) the Religion cannot be complete and perfect. Abu Sa’eed al-Khudri has narrated that this verse descended upon the Holy Prophet (s) on the day of Ghadir e Khum when he declared that Ali was the leader of whom ever was he. Abu Hurairah has also narrated it and he has also further said that this verse revealed on 18th of the month of Dhil-Hij when the Holy Prophet (s) returned from Hujjat al-Widah (the last pilgrimage). 1. 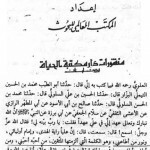 Tafseer Ibn Katheer, volume 2, page 14, published in Egypt. 2. 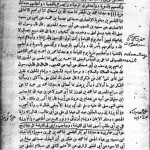 Tafseer Durre Manthur, volume 2, page 259, published in Egypt. After the narrations of the two companions Abu Sa’eed and Abu Hurairah it is crystal clear that until the Prophet (s) declared the Wilayat of Ali (as) on the day of Ghadir e Khum, Allah (swt) did not declare the religion to be perfected until this happened. Now, when without the declaration of the Wilayat of Ali (as) the religion is incomplete, then how can the Kalima and Adhan of the Muslims be complete without it? Sunan Tirmidhi, volume 2, page 298, published in Egypt. Mishkaat al Masabeeh, page 564, published in Delhi. 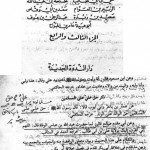 Mustadrak al-Hakim, volume 3, page 111, published by Daira al-Ma’arif, Hyderabad Deccan. 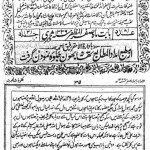 Marqaat Sharh Mashkaat, volume 11, page 340, published in Multan. 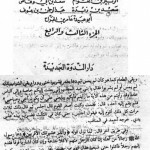 Sawaiq al-Muhriqa, page 122, published in Egypt. 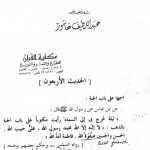 Imam Nisai in Khasais, Imam Hakim in his Mustadrak and Ibn Hajar Asqlani in Al-Istiab, Mulla Mutaqi Hindi in Kanz ul Ummal, Dahabi in Talkhees Mustadrak and Albaani the Wahabi in ‘Silsilat al-ahadith al-Sahiha’ have decalred the tradition ‘Sahih’. This Hadeeth of the Holy Prophet (s) says that without the acceptance of Imam Ali’s (as) Wilayat, no one’s faith can be perfected. The Shi’a of Maula ‘Ali, accordingly recite and declare the Wilayat of Ali (as) in our Kalima and Adhan for the perfection of our faith, why does it bother the so-called Muftis? 2. after me he is the guardian (Wali) of every true believer. “These two Hadeeths need more objections then the verse “Inama Wali-kum” because these traditions completely manifest the obligation of acceptance of Wilayat e Ali (as). 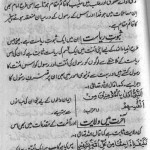 Tafseer e Mazhari, volume 3, page 143, published in Delhi. The very same Qazi Mazhari in the second volume of his Tafseer e Mazhari declares Ali (as) as “Qutb e Wilayat”. The gist of the discussion is that the Prophet’s declaration at Ghadir Khum proved forever that ‘Ali’s spiritual sovereignty is in fact the Prophet Muhammad’s spiritual sovereignty. Though the door of prophethood was closed after the Holy Prophet (saww), Allah opened new avenues for the continuation of the Prophet’s blessings till the Day of Judgment. Some of these avenues were manifest, while others hidden. The hidden avenue led to spiritual sovereignty and ‘Ali al-Murtada (as) was the first person to hold this office. Then this chain of sovereignty passed down to his progeny and finally to the twelve Imams. During this period, many leaders appeared on the spiritual horizon but they all, directly or indirectly, expressed their allegiance to ‘Ali al-Murtada (as). No one was disaffiliated from him and this chain will continue up to the Day of Judgment until the appearance of the last Imam (spiritual leader), and he will be Imam Muhammad Mahdi (as), the twelfth Imam and the last caliph. Allama Nishapoori in his Tafseer Gharaib al-Quran has also quoted the same text. We read in Ya Nabi al Mawaddah, volume 2, page 72, published in Beirut. Why recite ‘Ali yun Waliyullah in Kalima and adhan? Since the Guardianship of Ali (as) is proven from the Qur’an and in the Quranic verse the meaning of Wali is that of a leader and lord. The Shi’a of Maula ‘Ali (as) declare this fact in the Adhan and Kalima so that they may prove that they accept the third Master of Islam and are not from amongst the rebels who deny it. Since it is proven by the Hadeeth e Wilayat of Saheeh Tirmidhi that no faith can be perfected without the acceptance of Ali (as) as Master, we repeatedly declare it in order to remain steadfast and keep our faith perfect. Since the tradition of Sawaiq al-Muhriqa says that Umar was of the view that no excellence and honor can be achieved without the accepting the Wilayah of ‘Ali (as) we recite it in our Adhan and Kalima to prove that we are noble and we earn this privilege by accepting Umar bin Khattab’s saying. La Ilaha Ilallah Esa Ruh ullahThere are all double phrasal Kalimas which means that there was always a possibility for someone else to come, after one Prophet there was always a space for another to come and that is what always happened. We declare ‘Ali you Waliyullah in Kalima and Adhan to let the world know that Prophet Muhammad (s) is the seal of the Prophets – Prophethood has ended and Wilayat has begun hence whoever wishes to become a Wali, must become a Servant of Maula Ali (as).It is for this reason, that despite the passage of over 1400 years no false prophet has emerged from the Shi’a, it is an established fact that all the hypocrites who have declared themselves as prophets have been from the different sects of Ahl’ ul Sunnah. Now let us know that who are the real guards of the seal of Prophethood, the Shi’a or the Sunnis? If according to the narration of Abdullah ibn e Mas’ud from Tafseer e Gharaib al-Qur’an, volume 25, page 58, all the Prophets (as) from Adam till Jesus accepted the Wilayat of Ali (as) in order to get the Prophethood, then who are these Nasibi to reject it? The Shi’a declare the Wilayat of ‘Ali (as) in their Kalima and Adhan to maintain their identity as the true followers of the Prophets (peace be upon all of them). 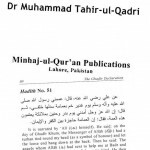 Dr Tahir ul Qadri al Hanafi a highly respected modern day Sunni scholar in his excellent book ‘The Ghadir declaration’ states in the preface:“…the day when the Prophet (saww) stayed at Ghadir Khum after his return from Hajjat-ul-wada’ to Medina, and surrounded by the Companions (ra), he declared while raising the hand of ‘Ali al-Murtada (as):“One who has me as his master has Ali as his master.”This was the declaration of Ali’s spiritual sovereignty and its unconditional acceptance is binding on the believers till the Day of Judgment. 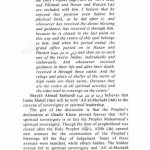 It clearly proves that anyone who denies ‘Ali’s spiritual leadership in fact denies the Prophet’s leadership”.If as Qadri rightly states denying Maula Ali (as)’s Wilayah is tantamount to denying the Prophethood of Muhammad (s), then the Shi’a Kalima is an affirmation that we are the upholders of Prophet Muhammad (s)’s Prophethood and Maula ‘Ali (as)’s Wilayah . Kalima is nothing but a summary of your major beliefs in a form of a brief statement. If you believe in the prophethood of Muhammad (saw) the way we are told to believe then the belief in the Wilayat of Ali (as) becomes an automatic part of our aqeedah. We read in the Holy Qur’an:[Yusufali 70:33] And those who stand firm in their testimonies;In this verse Allah (swt) has clarified and distinguished the Mo’mineen as those who are steadfast on testimonies (Shahadaat), and Shahadaat [in Arabic grammar] is always used in a plural case and is only applicable to three and above. This clearly shows that the Shahadaat, for the Mo’mineen are three in number. Bearing witness to Allah’s Unity. Bearing witness to the Prophethood of Muhammad (as). Bearing witness to the Wilayat of Ali (as). Hence with in light of this verse, the declaration of Wilayat e Ali (as) in Adhan is proven. Wali is a term that incorporates many terms such as Master, Protector, Helper , Guardian and Friend. When it is used in the context of Allah (swt), his Rasul and Maula ‘Ali (as) in the Qur’an then it is done so to incorporate all terms. All three are our Wali’s and by this we mean the Umbrella Term, so Ali (as) is our Wali (Master) and his position as Master also incorporates the other terms used for Wali, namely he is also our friend and helper. One aspect of that Wilayah is that he (as) is our Helper in the same way he was the Helper of Rasulullah (s). The Hadeeth cited on the authority of Abu Hurrayra wherein Maula ‘Ali (as) is deemed the ‘nusrat’ [helper] of the Prophet (s) incorporates one aspect of his Wilayah an aspect that has been written as Kalima on the Arsh. It is quite logical that when Maula Ali [as] is the helper of the Prophet [s] in his duties, then its is natural he progresses into his Khaleefa also [in the same way that Haroon (as) was to Moosa (as) ] In this regard when we bear testimony in the Wilayah of Ali we also attest to his[as] successorship as the Wasi of the Prophet (s). Allama Qadhi Ayaz has reported the same Hadeeth in his book Kitab al-Shifa. First Line: In the name Allah, the Beneficent, the Merciful. Second Line: All the praises be to Allah, the Cherisher and Sustainer of the worlds. In Riyadh al Nadira, volume 2, page 112, published in Egypt and Dhukhayr al-Uqba, page 66, published in Egypt only the words of brother of the Messenger of Allah are mentioned. “The Prophet (s) said to Ali, ‘O Ali, I swear by He who controls my life, verily on the Gate of Heaven there is written ‘There is no God but Allah, Muhammad is His Messenger, Ali ibn Abi Talib is the brother of the Prophet’ this Kalima was inscribed two thousand years before the creation of the Universe”. Linguistically Kalima means ‘meaningful sentence hence any sentence can constitute Kalima. When Allah (swt) has placed a Kalima in the Heavens that contains the names of the Creator, Rasulullah (s) and ‘Ali (as) then such a Kalima is one that is favored by Allah (swt). If Allah (swt) has no objections to such a Kalima in Paradise why on earth would he object to it on this earth? These filthy Nasibi Mullah’s bark that you cannot enter a building wherein the Shi’a Kalima is recited how do they expect to enter Paradise wherein the Kalima containing Maula ‘Ali (as)’s name is everywhere? These words have been written by Musa bin Imran’..”. When the Kalima with Aliyun Waliyullah has been written by an Ul’il Azm Prophet, why do these Nasibi object when the Shi’a recite likewise in their Kalima? “Umar Ibn Sa’d asked Muslim if he had a Will, to which he replied ‘My first will is that no one is worthy of worship save Allah, Muhammad is his Messenger, ‘Ali is the Wali of Allah, the Wasi of Rasulullah, and the Khaleefa of his Ummah”. What we see from these Kalimas is a major difference between Kalima of ISLAM and Kalima of IMAN. The Kalima of ISLAM is “La Illaha Illalah, Muhammadur Rasool Allah”. It is this recital that brings Sunnis like Shi’as into the terms Muslims, it is based on the affirmation of these 2 testimonies. We will however argue that the Kalima of Islam makes one a Muslim, but not a Momin. Sunnis believe that these 4 items do not a part of the Kalima of Islam, but yet it is obligatory to Testify to these 4 Kalimas alongside “La Illah Illalah Muhammadur Rasool Allah”. If a Sunni recites these additional Kalimas alongside the Kalima of Islam (i.e. the 5 Sunni Kalimas)), then he is not commiting Kufr (i.e. negating his belief in Allah or his Rasool [saw]), but is in fact affirming his Iman. Any person, who doesn’t witness these additional Testimonies by tongue, is still deemed a Muslim, but cannot fall within the definition of a Momin until he makes this testimony with his tongue and embrace this from his heart. The Kalima of Islam will not suffice as evidence that one is a Momin, there are extra Testimonies too, in order to complete one’s Iman in Allah. If anyone denies any of these Testimonies, then he falls outside the pale of Islam even he were to recite “La Illah Illalah Muhammadur Rasool Allah” a thousand times. Such a repetitive recital of the Kalima will be of no avail if he rejects even a single part of the Wahy (revelation), that was revealed as the Qur’an, or if he rejects Prophetic sayings. We know for example that it is and established fact that via Tawatur traditions that Salat, Fasting, Hajj, Khums, Jihad are part of the Islamic Sharia. Any one denying them falls out of the pale of Islam, even if he recites the Shahada for eternity. Along the same lines anyone that denies the Wilayah of Ali Ibne Abi Talib (as designated by the Prophet at Ghadeer Khum) will likewise go out of Islam despite saying “La Illaha Illalah”. The Wilayah of Ali Ibn Talib cannot be denied. If we consider Ahle Sunnah to be Muslims, then it is due to their acception of Wilayah of Ali Ibn Talib. How they interpret this “Wilayah” is another matter, but as we have demonstrated from citing the words of Dr Qadri rejecting it is the same as rejecting the Prophethood.. He went outside pale of Islam, and Allah’s wrath came and perished him. “Of whomsoever I am Maula, Ali is his Maula”. 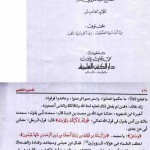 Some Nawasib issue the edict against Shias that reciting Ali un waliullah in Adhan is Bidah. 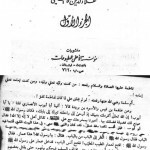 Sometimes Nawasib take help of the comments of Shaykh Saduq from Man la yaduruh al-Faqih, Volume 1 pages 188-189 that adding ‘Ali un waliullah’ was the act of extremist Shias (mufawwidah). جملة ((أشهد أن علياً ولي الله)) ليست جزء من الأذان والإقامة ، ولكن يستحسن الإتيان بها بعد جملة ((أشهد أن محمداً رسول الله)) بقصد التبرك ، بنحو يفهم أنها ليست جزءً. The sentence ((Ashhadu ena Aliun Wali Allah)) is neither the part of Adhan nor of Iqama but its well liked to recite it after the sentence ((Ashhadu ena Muhammadan rasool Allah)) for the sake of blessing and in a manner that it is understood that it is not the part (of Adhan). “If it is added as a part (of Adhan) then it is a false innovation (Bid’a) and illegal”. If Nawasib still feel aggrieved and refuse to let go of their hatred of Maula ‘Ali (as) then allow us to cite the Bidah recitals of their Sahaba in Salat. ‘Abdullah b. ‘Umar (Allah be pleased with them) reported that the Messenger of Allah (may peace be upon him) entered upon the state of Ihram near the mosque at Dhu’l-Hulaifa as his camel stood by it and he said: Here I am at Thy service, O Lord; here I am at Thy service: here I am at Thy service. There is no associate with Thee. Here I am at Thy service. All praise and grace is due to Thee and the sovereignty (too). There is no associate with Thee. They (the people) said that ‘Abdullah b. ‘Umar said that that was the Talbiya of the Messenger of Allah (may peace be upon him). Nafi’ said: ‘Abdullah (Allah be pleased with him) made this addition to it: Here I am at Thy service; here I am at Thy service; ready to obey Thee. The Good is in Thy Hand. Here I am at Thy service. Unto Thee is the petition and deed (is also for Thee). One day we were praying behind the Prophet. When he raised his head from bowing, he said, “Sami’a-l-lahu Liman hamida.” A man behind him said, “Rabbana walaka-l hamd hamdan Kathiran taiyiban mubarakan fihi” (O our Lord! All the praises are for You, many good and blessed praises). When the Prophet completed the prayer, he asked, “Who has said these words?” The man replied, “I.” The Prophet said, “I saw over thirty angels competing to write it first.” Prophet rose (from bowing) and stood straight till all the vertebrae of his spinal column came to a natural position. We will inshallah seek to conclude with an example of the Deobandi Kalima, and then readers can decode for themselves whether these Nasibi have any write to criticize the Shi’a Kalima and Adhan. Is there anything more outrageous than this? The Nasibi love for his Master is such that he substitutes the name of the Prophet (s) with that of Maulana Thanvi. Rather than condemn his follower for this kufr act, Thanvi seeks to rationalise the dream in order to elevate his position to his audience. These Deobandi issue Takfeer because the Shi’a say ‘Aliyun Waliyallah’ after they declare the Prophethood of Muhammad (s). If that makes the Shi’a Kaafirs, what Fatwa should we apply for these Deobandi Nasibi who have replaced the name of Muhammad with that of their Nasibi Mullah in the Kalima? Why is their Iman unaffected by such a Kalima? What is left of Islam and the finality of the Prophethood if a Nasibi can substitute the Shahada in preference of his teacher and yet this is not deemed kufr? What faith should anyone have in the Nasibi Ulema in light of this blasphemy? I believe in the Oneness of ALLAH, Muhammad (SalALLAHo Alaihe Wa Alaihi Wasallam) is the last Prophet of ALLAH, Quran bestowed upon Muhammad (SalALLAHo Alaihe Wa Alaihi Wasallam) is doubtless from Al-Hamd till Wannas, all the Sahabah (RadhiALLAHo Anhum Ajmaeen) of Muhammad (SalALLAHo Alaihe Wa Alaihi Wasallam) were Momin, ALLAH agreed with them and they with ALLAH, Ummahat-ul-Momineen are the wives of Muhammad (SalALLAHo Alaihe Wa Alaihi Wasallam) and are the Noble Mothers of Muslims. Nawasib offers two options, either the readers can “Accept” or “Decline” to above mentioned Kalima. Acceptance will make the visitor proceed while declining to their Kalima will lead to a poetry calling the decliners as Kaafirs. We would like to ask these Nasibis, that who gave them right to make additions in the Kalima after the testimonies of Oneness of ALLAH & Prophethood of Holy Prophet[s]? If the answer is that the validity of having faith on the addional testimonies cited by Nasibi Sipah e Sahaba can be found in Quran or Sunnah then why do they keep barking on having faith in the Wilayah of Ali [as] and its testimony while we have proved the importance of Wilayah from Quran and Sunnah? Subscribe to our newsletter to receive regular updates on our new publications. Shia Pen is a volunteer project and is not linked or affiliated with any kind of organisation. We are completely independent and do not receive or accept any financial backing from any third party. Although you are free to distribute the content, please take a minute to read our full terms & conditions as there are some obligations.